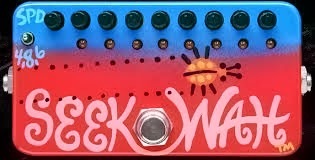 The guitar is going thru a Zvex seek wah. One of the first "real" effect pedalsI ever bought. I bought it in Austin while I was recording with Deadwood Forest.